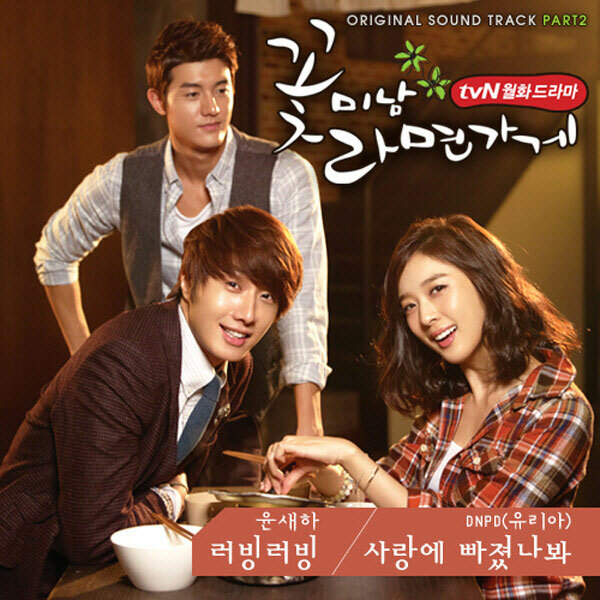 The second part of Flower Boy Ramyun Shop (aka Cool Guys, Hot Ramen) OST (original soundtrack) contains two songs, and is released on November 8, 2011, which are sang by two different singers. The first song with the title of “Loving Loving” (러빙러빙) is sang by Yoon Se Ha (윤새하). The Loving Loving is also the ending theme song for the Flower Boys Ramen Shop drama series. Listen to Loving Loving (러빙러빙) at YouTube.